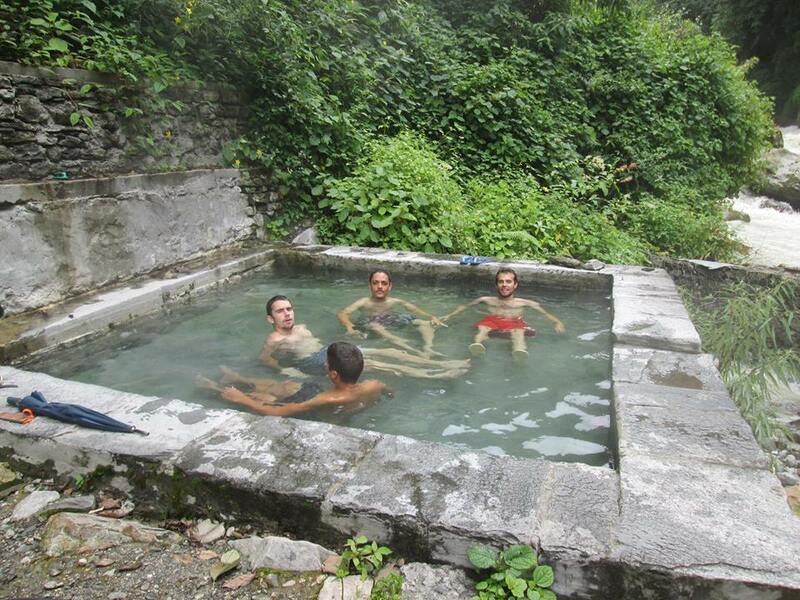 MYAGDI, April 26:Natural hot water springs have been found in 14 locations in Myagdi. Temperature of water emerging from beneath the earth's surface in 14 places in the district including the Beni Municipality is up to 50- 58 degree Celsius. Five sources of natural hot water have been detected on the bank of Myagdi River based in Beni Municipality-13, according Birendraman Shakya, Chairman of Singa Hot Water Pond Management Committee. Hot water ponds are known as natural healing spots and it is believed that various kinds of diseases including arthritis, gastritis and skin disease will be cured by taking bath in such springs. Over 20,000 visitors arrive here every year to take bath. But the proper management of natural resources of hot water is the need of the hour, he stressed. Likewise, nine others have been found at Bagar of Mudi, Bhalebasne Pond in Darbagn, Bhurung Tatopani, Histan and on the bank of Kaligandaki River in Dana.